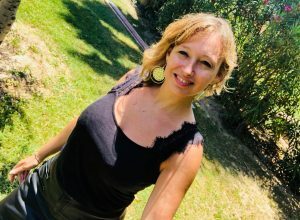 After a course in France and international in personal development as a consultant, manager and coach, I chose to realize myself more 15 years ago by doing accompaniment with the short and psycho-bodied therapies then I Evolved towards holistic, quantum and energetic approaches as a trainer. My role is to promote, facilitate and reveal. Through our meetings, I invite you to regain your personal power and become fully the creator of your life. Passionate, I have facilitated for many years the processes of releasing past and cellular memories & opening up to the field of all possible. My accompaniment/facilitation promotes the return to the joy of life, the transition to action and a return to unity, so that everyone can reconnect to their unlimited potential and freedom to be. For this, I use my energy capacities, the benevolent welcome, the energy of the joy of the heart as well as powerful quantum tools. Through the many meetings, workshops, therapies, and trainings, I have made a personal journey in depth for 25 years that has reconnected me more to who I really am. During this deepened initiation path, I was able to experience periods of awakening and experiences of very rich openness and revealing abilities and faculties in connection with the mediumship, the full consciousness, the connection to different planes and the Multidimensional. I like to promote transformations and transmit a state of being, vibratory frequencies as well as simple and effective tools to allow everyone to be more coherent with his being and to be fulfilled in the different areas of his life with Ease. Practitioner symphonies of the possibilities of Access Consciousness ® to be even more connected to oneself and to the fields of possible. Happiness is not in the events. It is in the hearts of those who live them.